"I don't know what I am hearing, because this is an International high-quality piece of music"
Hailing from the home state of the blues, Mississippi, in a day of electronic music, backing tracks, and auto tune. 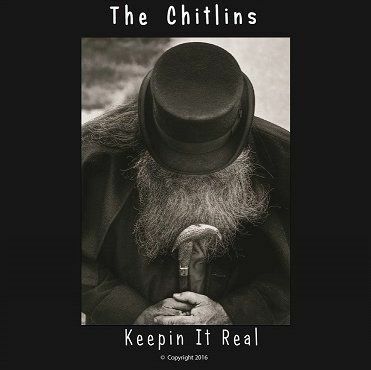 The Chitlins take a back to the basics approach to their brand of music. The recipe? Do not add artificial ingredients. Start with a few pounds of raw, bluesy guitar riffs and a tight rhythm section. Then add a pinch of edgy lead guitar solos. Throw in a generous portion of genuine killer vocals, with catchy lyrics then add smooth harmonies to taste. Keep it rather simple. Make it easy, fun to play and fun to hear. Then serve it up piping hot! We call it, southern fried rock and blues. “Come get you some”, as we say down here in the south. The Chitlins are fronted by the powerful yet soulful, vocal talent of Scott Henry. A seasoned stage veteran born in blues country and bred from the dirt. Scott’s unique vocal ability is matched only by his songwriting and farm boy, biker, southern gentleman personality. His voice and presence attract immediate attention. Next is guitarist extraordinary Bucky Cole. Son of legendary guitarist and rockabilly music hall of fame, Lee Cole. Let's just say the apple didn’t fall far from the tree. As you can imagine Bucky started young and has spent many years shredding guitars in venues from Nashville to Nantucket. On bass is Jay Patricks. Having worn many hats in the music biz as a bass player, lead singer, studio engineer/producer, FOH engineer and tour manager Jay help bring the vision of The Chitlins to fruition. The Backbone of the band on the drums is David Green. No stranger to the stage, hard hittingDavid’s years playing hard rock and heavy metal bring a certain drive to the Chitlins hard-hitting live performance is a show all in itself. Sweetening up the vibe with the harmony vocals are The Chitlinettes: Mary Perry Jackson and Janette Mederos. All members of The Chitlins reside, record and rehearse in beautiful Gulfport Mississippi. Hope you enjoy our music at least half as much as we enjoy making it. Thank you, hope to see you soon.